For beauty buffs on a budget, drugstore products are the holy grail. Though luxury products are known for high-quality ingredients, drug store formulations can be just as effective, especially if they have gone through clinical trials and testing. Since wandering up and down the aisle at the pharmacy can be tedious, I’ve highlighted a few BRAND NEW affordable drugstore beauty buys with unique ingredients ( crystal drops and gold) below. 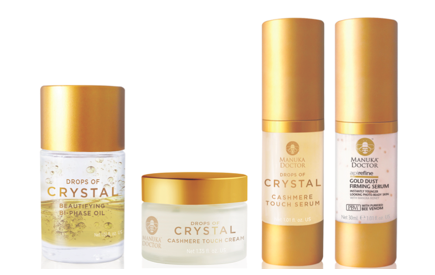 Manuka Doctor’s Drops of Crystal line just launched in January. I love it! 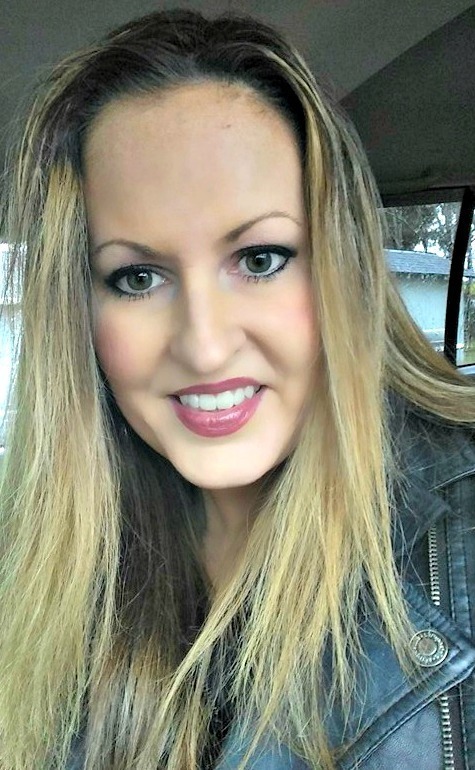 I have been using these products for about three weeks now, and my skin looks and feels fabulous! You would never know that the Manuka Doctor Drops of Crystal line is not one of those hugely expensive brands that you can only buy in boutiques! Spring break is here! We may get some cloudy skies and rain instead of sunshine this coming week, but but who said you can’t escape to an island state-of-mind? Whether you are looking for a little glow to get rid of your pasty winter skin or a delightful tropical scent that transports you to an oasis of sunshine and Pina coladas, Australian Gold has your bronzing, hydration and SPF needs covered. For An Instant Boost of Color! NEW Australian Gold Self Tanning Lotion ( $8.99 ) creates an instant golden glow while rich bronzers develop a radiant, natural-looking shade of bronzed perfection within 2-4 hours. The unique gel-lotion blend provides exceptional spread-ability for even coverage without streaking and the lightweight formula dries quickly. Chamomile and Vitamin E soften and soothe the skin while Advanced Elimiscent™ Technology prevents the odor associated with DHA. The formula has a light, refreshing fragrance. Australian Gold Sheer Coverage Faces SPF 45 ( $9.99 ) shields delicate facial skin with UVA/UVB Broad Spectrum protection, in an oil-free and hypoallergenic formula that is ideal for those with very sensitive skin. This dermatologically-tested sun care uses acacia extract for antioxidant benefits and allows for fast drying and absorption that leaves the skin feeling smooth and silky. Sunburn to the lips can be painful and lead to unflattering flaking. Australian Gold SPF 30 Lip Balm with Antioxidants ( $2.50 ) is a handy, clear stick that helps prevent, soothe, heal and protect dry, chapped and sunburned lips . Vitamin E, Aloe Vera and Jojoba soften skin and Antioxidant helps fight free radicals. Irresistible Kiwi-Limeflavor provides a refreshingly tart and tangy zing – ideal for a hot day on the beach or skiing the slopes. I completely trust Australian Gold for my family's sun protection needs. I can always count on Australian Gold products to help give my skin a nice glow instead of a nasty burn. It also smells so tropical and wonderful. The fragrance brings me to the tropics every time. My family will be headed for Hawaii in a few months, and you can bet my Australian Gold sunscreen will be the first thing I pack! When I drink bottled water, I like it to taste fresh and crisp, not like the plastic bottle it comes in. 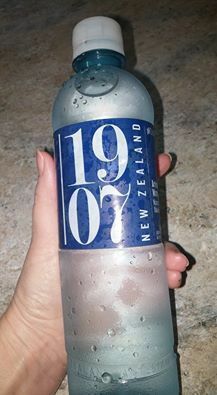 Out of all of the bottled water brands I have tried, 1907Water is definitely my favorite. It tastes clean, smooth and completely refreshing. Another thing to think about is, do we really know where our bottled water is coming from? 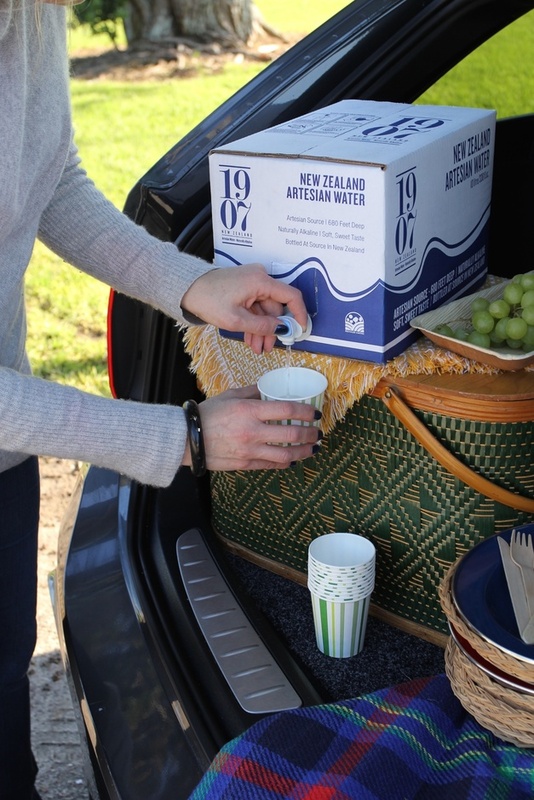 1907Water is sourced 680 feet deep at the foot of New Zealand’s Kaimanawa Ranges, resulting in pure, uncontaminated water. The lower mineral content of 1907Water naturally alkalized water ensures a smooth finish. 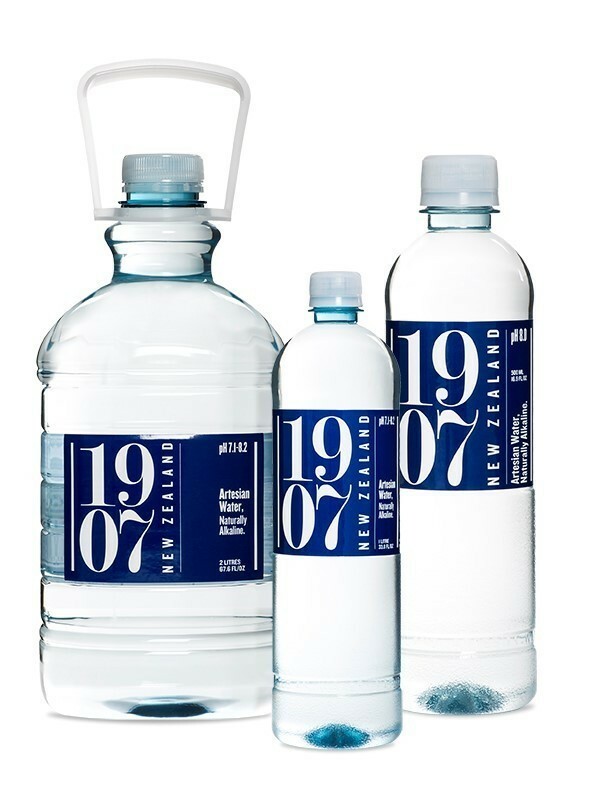 Last year the New Zealand water company 1907Water is launched its line of naturally sourced alkaline water to the US market. Now in 2016, 1907Water is available in retailers nationwide and they recently launched a new 10 L Bag in Box water with with easy to pour spout. The new 1907Water’s 10 L Bag in Box water is made of 100% recycled BPA-free PET and are 100% recyclable. This box of water is great product to store in the fridge or pantry, take camping, on boats, picnics etc. 1907Wate is also available in 3 attractive sizes (MSRP 2 Liter $3.99, 1 liter $2.19, 500ml: $1.29). When I drink 1907Water, I am never worried about where it comes from. I am thankful to know that it comes from completely natural resources and not just recycled sewage water. I Just one sip and I know the difference! With the heavy weight of faux hairs in addition to sticky adhesives holding semi-permanent lashes for a full month, it's important to let your natural lashes breathe and show them some TLC. Skip a month and apply a lash strengthening serum like Hydropeptide LASH ($96) which improves the appearance of lashes by strengthening them for a fuller, longer, less brittle appearance. Having hair extensions can pull on natural hair follicles leading to thinning and breakage. Take two capsules of NeoCell's Keratin Hair Volumizer ($20) daily to provide your hair with all-natural beauty nutrients it needs. It is clinically proven to enhance hair strength and give you the thick and lustrous locks you are craving. My hair gets fuller, thicker and longer when I take this supplement. It seems so much healthier and has less breakage. Getting your latest gel manicure removed can damage and weaken nails. 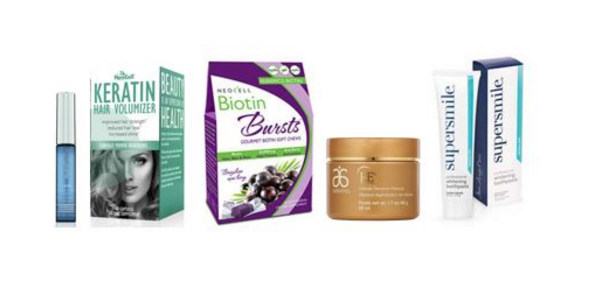 Take a break from gel manicures every couple of weeks and add biotin to your daily routine. NeoCell's Biotin Bursts ($15) deliver 10,000 MCG of biotin in a yummy soft chew to promote nail growth, and maintain healthy skin and strong hair! Keep a bag of these on your desk or in your car to ensure you get your daily dose of beauty each day. I love Biotin Bursts! They taste just like delicious tangy, fuity candy, so I have no problem taking them every day. When I take them on a daily basis, my nails grow so fast that I find that I need to stash nail clippers in my purse to keep up with them. 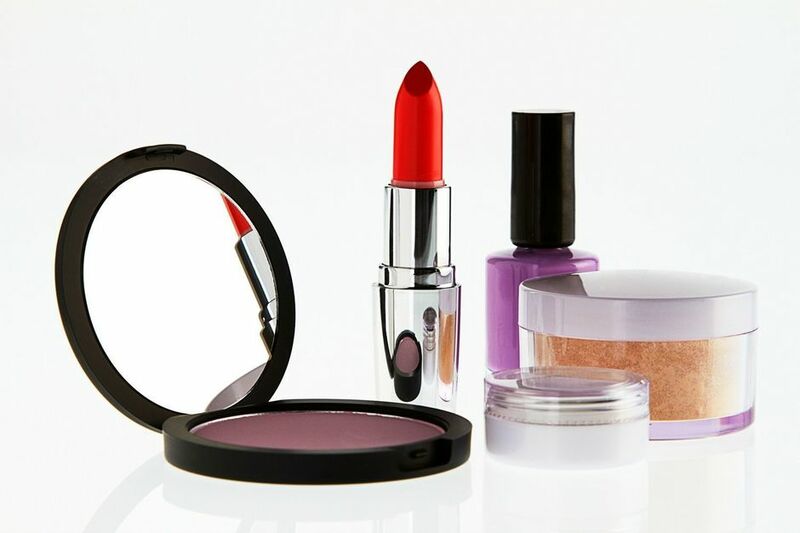 Wearing makeup can lead to clogged pores, redness, and uneven texture. Apply a masque like Arbonne's RE9 Advanced Cellular Renewal Masque ($65) twice a week before bed. This masque gently exfoliates to visibly improve the appearance of skin tone and texture, minimize the size of pores and provide you with a radiant glow from within. Arbonne's RE9 Advanced Cellular Renewal Masque is the greatest! I use it twice each week, and it literally leaves my skin glowing and as soft as silk. 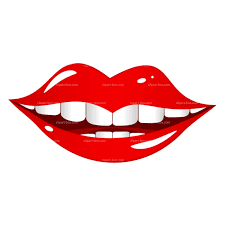 Going overboard with unsafe teeth whitening products can be extremely harmful. Instead, opt for Supersmile's Professional Whitening Toothpaste ($21) that will gently lifts stains and rebuild enamel that may have been already damaged. I love Supersmile's Professional Whitening Toothpaste! I have been using it for only about a week now, and my teeth are already looking so much whiter! Next Wednesday, March 23 is National Eucalyptus Day! 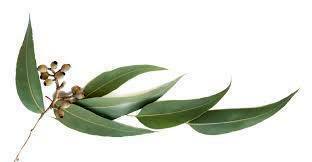 Eucalyptus oil is used for aromatherapy as the inhalation of the oil relaxes the body, by rubbing onto skin the oil relaxes sore muscles and also improves the health of hair. The ingredient can also treat irritated skin and wounds. Rejuvenate your skin with Next Wednesday, March 23 is National Eucalyptus Day! Eucalyptus oil is used for aromatherapy as the inhalation of the oil relaxes the body, by rubbing onto skin the oil relaxes sore muscles and also improves the health of hair. The ingredient can also treat irritated skin and wounds. Rejuvenate your skin with The Healing Garden’s Eucalyptus & Mint line body lotion, body mist, soy candle and Epsom salt scrub. 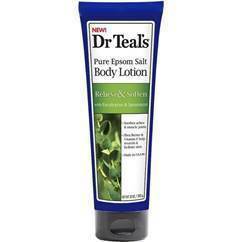 Soothe senses and unwind from stress with Dr. Teal’s Eucalyptus & Spearmint Salt Soaking Solution. Alleviate tension in the body by turning an ordinary bath into a spa by including Dr. Teal’s Eucalyptus & Spearmint foaming bath. If a quick shower is all you have time for do not jeopardize your skin – use Dr. Teal’s Eucalyptus & Spearmint Ultra Moisturizing Body Wash, which enriches with luxurious moisturizers that include Aloe Vera, Shea Butter & Vitamin E to hydrate skin. Finish by moisturizing dry skin with Dr. Teal’s Eucalyptus Spearmint Pure Epsom Salt Body Lotion.’s Eucalyptus & Mint line body lotion, body mist, soy candle and Epsom salt scrub. Soothe senses and unwind from stress with Dr. Teal’s Eucalyptus & Spearmint Salt Soaking Solution. Alleviate tension in the body by turning an ordinary bath into a spa by including Dr. Teal’s Eucalyptus & Spearmint foaming bath. If a quick shower is all you have time for do not jeopardize your skin – use Dr. Teal’s Eucalyptus & Spearmint Ultra Moisturizing Body Wash, which enriches with luxurious moisturizers that include Aloe Vera, Shea Butter & Vitamin E to hydrate skin. 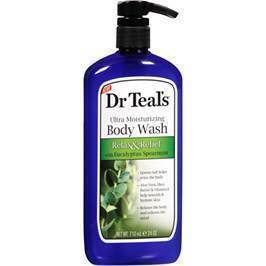 Finish by moisturizing dry skin with Dr. Teal’s Eucalyptus Spearmint Pure Epsom Salt Body Lotion. The Healing Garden’s Eucalyptus & Mint line is the combination of cooling eucalyptus and invigorating mint help to promote alertness and rejuvenation. Dr. Teal’s Eucalyptus & Spearmint Epsom Salt Soaking Solution relaxes the body and relieves the mind. Spearmint is restorative for the body while eucalyptus stimulates the senses. Soaking in Epsom Salt relieves tension by removing lactic acid and impurities to soothe muscle aches and speed recovery. Dr. Teal’s NEW Eucalyptus Spearmint Pure Epsom Salt Body Lotion includes active levels of Epsom Salt that soothes body aches and muscle pains. The lotion also contains Shea Butter which relieves dry, cracked skin and Vitamin E to nourish skin and seal in moisture. 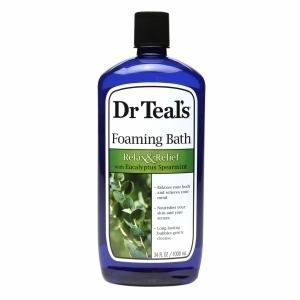 Dr. Teal’s Foaming Bath is aroma-therapeutic and transforms an ordinary bubble bath into an oasis. Dr. Teal’s Relax & Relief Eucalyptus & Spearmint Foaming Bath is used as a restorative for the body while stimulating senses. Dr. Teal’s Relax & Relief with Eucalyptus Spearmint Ultra Moisturizing Body Wash is a liquid Epsom salt that eases muscle tension and includes aroma-therapeutic fragrances that can awaken the senses for morning showers or relax the body in the evening before a good night’s rest. Disclaimer: I posted this article in exchange for product samples.  Make an Impact with the Latest Toothpaste from Colgate Optic White! Keep your pearly whites in check this year with the latest innovation from Colgate Optic White. The new Colgate Optic White Platinum High Impact White Toothpastewhitens more than the leading whitening strip*, making it easier than ever to get a whiter, brighter, bolder #DesignerSmile. This formula delivers 4 shades, visibly whiter teeth** in 6 weeks when brushing twice daily, starting in just 3 days. Colgate Optic White High Impact White Toothpaste formula is professionally designed with Hydrogen Peroxide. In addition to being safe for daily use, this product protects your enamel and contains anti-cavity fluoride protection. *Toothpaste used as directed for 6 weeks vs. 1 box treatment of the leading whitening strip, used as directed. I love this new Colgate Optic White High Impact White Toothpaste. I have always trusted Colgate products for my family's dental needs. I have been using Colgate Optic White High Impact White Toothpaste for two weeks now, and my teeth are noticeably whiter. I love the minty, fresh taste that keeps my mouth feeling clean. Did you know that Teacher Appreciation Week begins on Monday, May 2nd? If you know of a special teacher that has made a difference in your life or your child's life, why not show them that you appreciate their efforts? 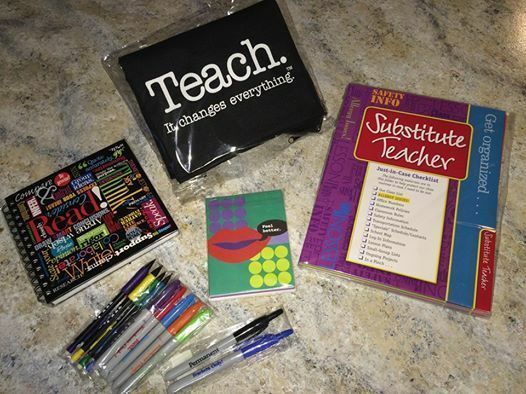 Teacher Peach has the perfect gift ideas that are made especially for teachers. Teacher Peach is all about teachers—every day! Teacher Peach supports teachers and helps those who appreciate teachers to acknowledge the great work teachers do—with great products teachers love. 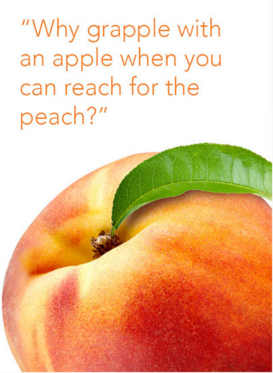 Teachers love to explore Teacher Peach and discover unique and inspiring products. With Teacher Peach, it’s easy to champion and support these amazing teachers—with amazing products that matter to them! My son, Braxton has a really wonderful teacher this year. He is in the third grade, and I know that his teacher works really hard to teach those children. Mrs. Shaw seems to have a lot of patience and always has a smile on her face. Braxton really adores her. 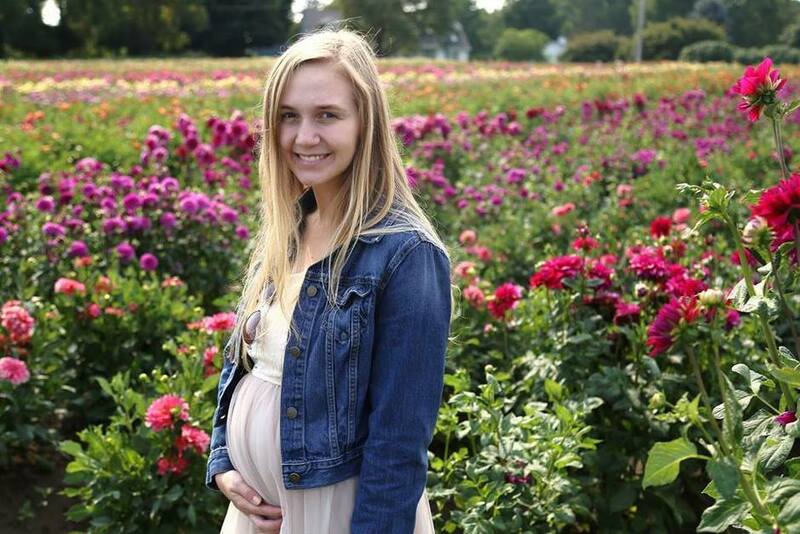 I feel that my child is in very good hands having her as a teacher. To honor Mrs. Shaw for Teacher Appreciation Week, I wanted to get her a gift that I am confident that she would love. I had Braxton help me to pick out something special from Teacher Peach. He chose the Organized Teacher Gift Set for her. The Organized Teacher Gift Set delights even the most organized teachers with its vivid and colorful supplies and goodies! It has 8 pocket folders in perfect categories, 5 Sharpie markers, 5 mechanical pencils, and 12 clever note cards and a durable tote bag to carry it all in. Mrs. Shaw is definitely going to love this handy gift set! Braxton is excited to give it to her! 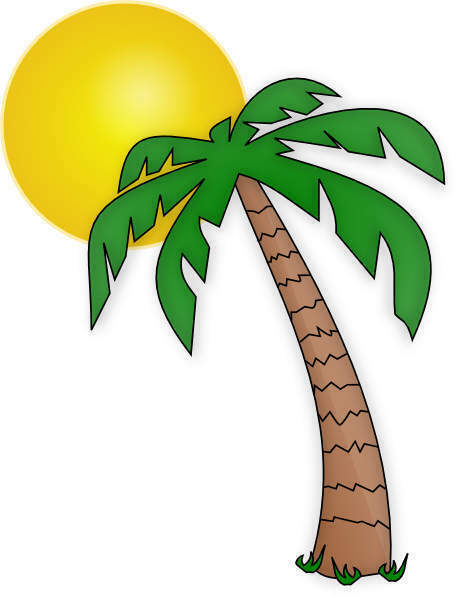  Celebrate Spring with Sun Bum, DDF and TouchBack! Since the first day of spring is a week away, it’s time to update our skincare bags with the latest and greatest sun protecting and bronze inducing products! 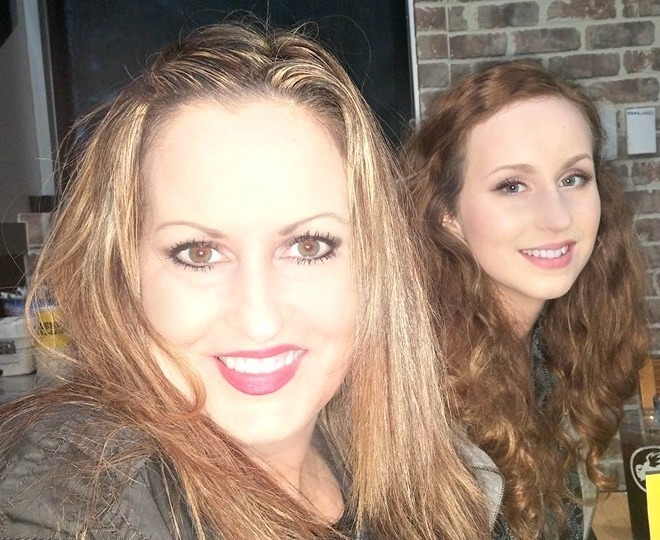 See below for some must-have skincare and hair items for a happy and healthy spring ’16! The Sun Bum® Baby Bum Sunscreen’s formula was developed in Australia, where the scientists are the very best at making natural skincare just for little ones and people with super sensitive skin. Made with a paraben-free formula and is 100% mineral based it’s the Bum’s cleanest, all-natural sun protection. Available in both a lotion and a stick. Exfoliate , moisturize and achieve a golden glow all at once with this revolutionary and easy to use self-tanning towelette for the face and body. 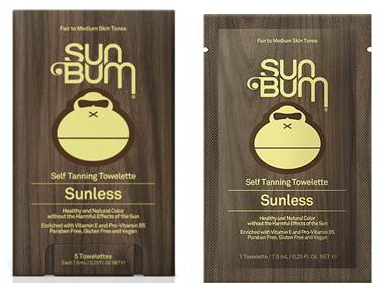 The new Sun Bum® Sunless Self Tanning Towelettes not only contain the most effective ingredients like Black Walnut Leaf Extract but also are infused with a patented clear self-tanning formula that works with the proteins and amino acids in skin to produce a healthy, beachy glow. We are all about achieving that beachy glow without baking too long in the sun. Designed to help skin get golden safely, the new Sun Bum® Natural Browning Lotion will help you get the deep, dark golden glow you want without the risks associated with extended sun exposure. Infused with some of the best ingredients from around the world like Kukui Nut Oil and Kona Coffee Plant Extract, the formula is completely vegan, gluten free, and paraben free, with a scent that smells like an endless summer. This facial moisturizer contains a potent Micro-Radiance Complex and diminishes the look of discoloration for even, translucent, healthy looking skin. 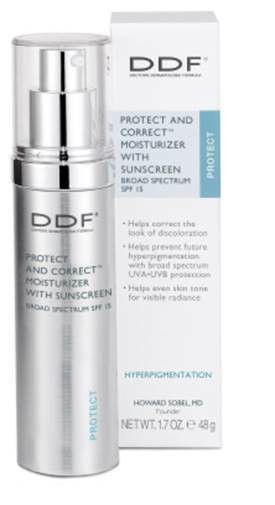 Also contains SPF 15 to help protect from UVA/UVB damage and future hyperpigmentation. Adds back color and shine to faded hair, without the harsh chemicals of permanent hair color — no ammonia, peroxide or sulfates. It's the safe, gentle way to add vibrant color any time. 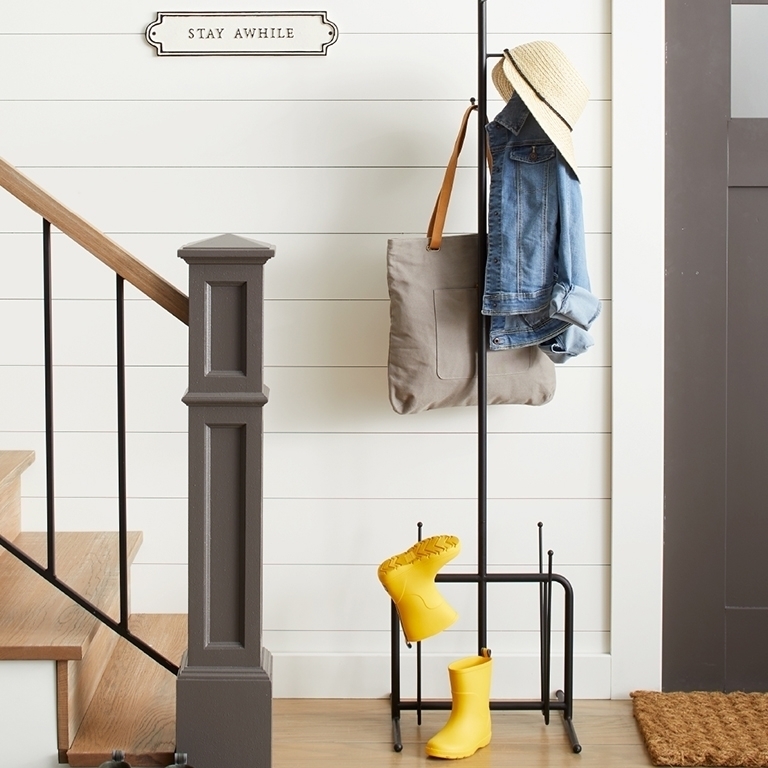 The color lasts through three ordinary washings. 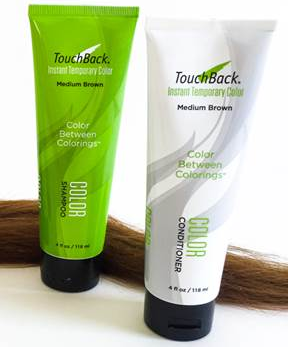 A breakthrough in temporary hair color technology, TouchBack's patented formula uses the natural ionization of the hair to seamlessly bond color to the hair shaft. 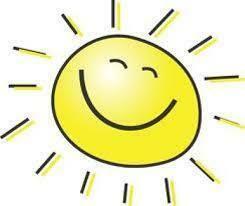 UVA/UVB sunscreens and antioxidants safeguard hair and color fidelity. I received samples of these products in exchange for this post. Scars are areas of fibrous tissue (fibrosis) that replace normal skin after injury. A scar results from the biological process of wound repair in the skin and other tissues of the body. Scarring is a natural part of the healing process. With the exception of very minor lesions, every wound results in some degree of scarring. Skin is a seamless organ, like a fine cloth protecting valuable assets. Imagine a piece of silk. Just one small tear can make a big difference in how it looks. And it's the same with skin. Any burn, injury, or other trauma, such as surgery, can cause a scar. 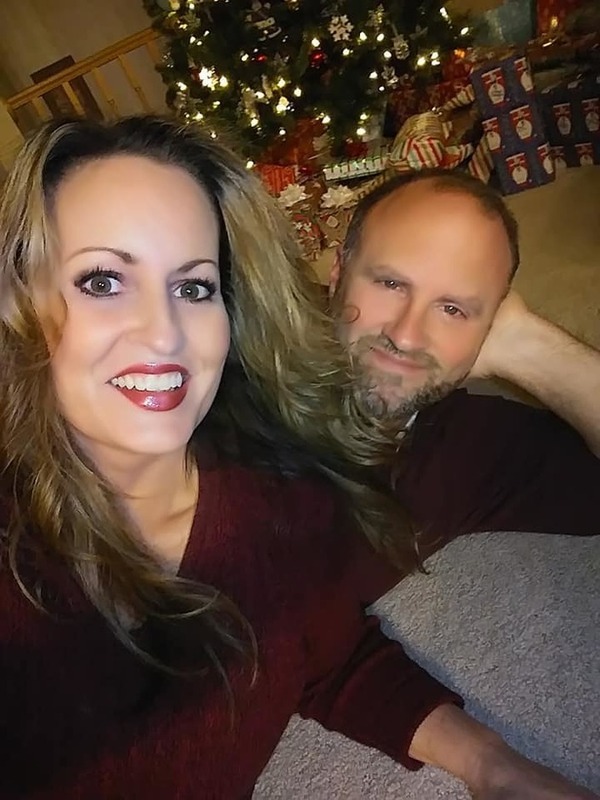 Dr. Michael Connor and Dr. Jeanmarie Connor are a husband and wife team with twenty years of medical expertise specializing in plastic and reconstructive surgery and pediatrics. Together they have created Scarology.™ This new product is a safe and effective three-step at home scar treatment. Exfoliation procedures such as dermabrasion or laser resurfacing have been shown to be effective in improving the appearance of a scar but can cost thousands of dollars and can be associated with significant down time. The proprietary scar treatment system combines ingredients that have, until now, only been available in medical settings. These key ingredients have been shown to nourish the healing scar with hydration, and reduce inflammation in the scar tissue. 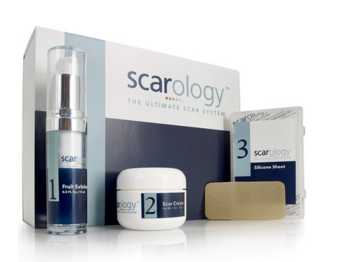 Scarology’s unique 3-part system can be used on any skin type and on any scar once the skin has completely healed from the initial injury. The regimen is designed to target different phases of scarring. The kit includes a gentle exfoliator, simple scar cream and self-adhesive silicone sheets to be worn at night during sleep. Changes in scar appearance have been reported as early as 3 days following initial application. Step One: Natural Fruit Acid Exfoliator: In the morning, spread a thin layer of Natural Fruit Acid Exfoliator over the healed scar and onto dry, residue-free skin. Massage into scar for 1-3 minutes, then rinse thoroughly. Slow, controlled exfoliation allows removal of the unhealthy skin cells overlying the scar and stimulates the healthy surrounding tissue to replicate and replace the top layer of skin. Step Two: Ultimate Scar Cream: Apply the Ultimate Scar Cream twice daily. Following Step 1, massage cream onto scar and leave on skin throughout the day. In the evening, apply Ultimate Scar Cream again. Scarology’s™ innovative scar cream formula contains ingredients that have been shown to reduce inflammation and hydrate all layers of the wound. Step Three: Silicone Scar Sheet: At night, apply the self-adhesive Silicone Scar Sheet to skin. Remove sheet in the morning and store sheet with protective liner for repeated uses. The third component of the system is designed to help provide compression and nourishment to the scar throughout the night. Scarology’s ™ self adhesive silicone sheet uses advanced patented silicone technology currently used in hospitals. For best results, it is recommended that Scarology’s™ 3-step Ultimate Scar System is used for a minimum of 3 months with continued use for as long as the scar shows signs of improvement. Older scars may require 6-12 months of continuous therapy. Does Scarology™ Work on Old Scars? Scars from several years ago are the most difficult to treat and most likely will not change in appearance with topical silicone or onion extract alone. However, Scarology’s™ 3 part system is different. 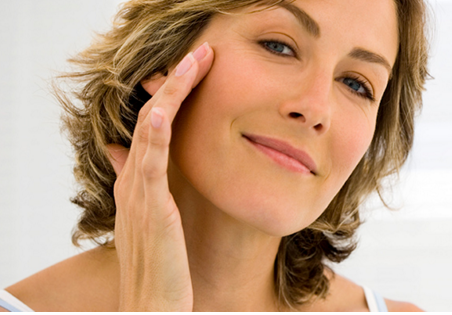 Scarology is the only commercially available product for scars that may enhance the appearance of old scars. Can Scarology™ be Used on Pigmented Skin? Scarology can be used on all skin types. Children with scars can benefit as well. Scarology does not recommend using the fruit exfoliator, Step 1, in children under 2 years of age. This first phase begins immediately after the injury and is completed within a few hours. During this phase, there is the formation of a blood clot. In addition, proteins in the body, called fibrin, create a matrix for reparative cells to enter the site and start the healing process. This phase begins soon after and new cells start to grow in order to cover the wound surface. Granulation tissue (early scar tissue) begins to form and new blood vessels start to sprout in order to nourish the reparative cells. A collagen matrix replaces the fibrin matrix and inflammatory cells enter along the wound’s new scaffold. Altering the inflammatory cells during this phase can dramatically improve the appearance of a scar. This is the last phase of wound healing. A strong type of collagen slowly replaces the blood vessels and reparative cells. Specific cells, called myofibroblasts, remain in this collagen matrix and contract, which ultimately leads to a decrease in the size of the scar. Reparative cells continue to enter and survey the scar for months and even years after the injury, which is why scars tend to look better at 1 year than at 1 month. The wound environment changes dramatically during the course of healing and the formation and appearance of a scar is directly related to the events described above. Scarology ™ was created in Palm Beach, Florida, by two physicians -- a husband and wife team: Dr. Michael Connor and Dr. Jeanmarie Connor. 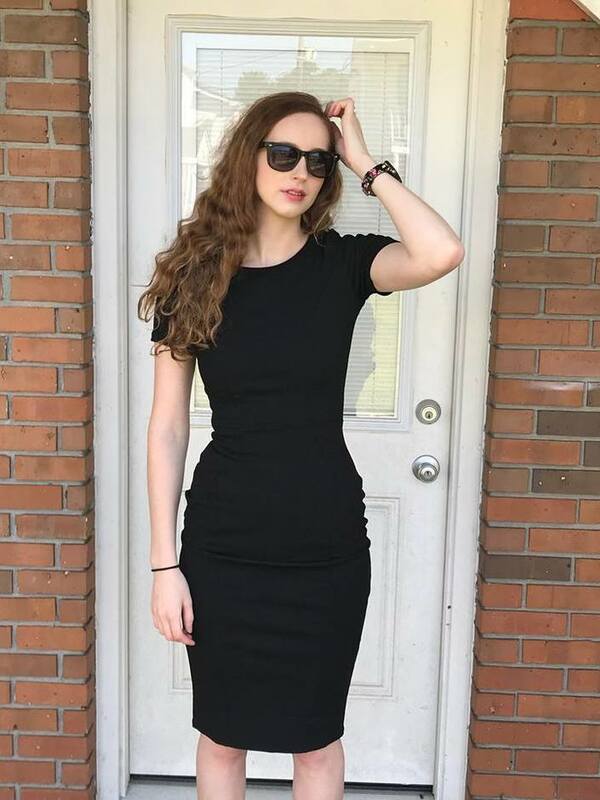 They have a combined twenty years of medical expertise specializing in plastic and reconstructive surgery in the face and neck as well as pediatrics. For years, patients asked them for a safe and effective at home scar treatment that could be used on both adults and children that helps fade acne scars, facial scars, burn scars, keloids, wound scars, stretch marks and more. Unfortunately neither could make a recommendation. As physicians they knew that they needed to have more informed answers for their patients. Over the course of the next few months they extensively researched available scar creams on the market along with consuming as much data on scar treatment published in medical journals. They were surprised to find that no single scar cream examined made a significant difference at 1 year. Seeing the emotional & physical impact scarring had on their patients, they knew there had to be a better way. They initially developed a simple scar cream formula and would recommend patients purchase self-adhesive silicone sheets along with a gentle exfoliator to improve the final appearance of a scar. All of the patients who followed this regimen were satisfied with the final appearance of their scar, without exception. As they witnessed that the final appearance of a scar can be greatly improved with daily use of these 3 simple steps, they decided to make the system available to the world. So in 2014 the 3 step kit and Scarology™ was born. Simplify your beauty routine for Spring with these new innovative multi-tasking products from Sally Hansen, Rimmel London and NYC New York Color—beauty should be easy! WHAT IT IS: Known for her infamous cheekbones and her unique sense of style, Kate Moss has collaborated with Rimmel to create her very own Rimmel Sculpting & Highlighting Kit. Using her expertise in sculpting gained from years of experience Kate has collaborated with Rimmel to design a palette made up of three silky soft pressed powders to highlight, contour and define your face. After all, who better than Kate to create a sensational sculpting must-have?! Get the gorgeous bone structure you always wanted! 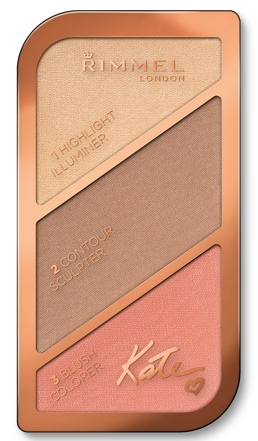 Rimmel introduces its first Sculpting & Highlighting Kit designed with Kate Moss - a trio of pressed powder shades to highlight, contour and define. Perfect for every face shape and skin tone, the silky soft powders seamlessly blend with your natural skin tone to create a healthy, radiant, sculpted look. Use a little colour for a natural, everyday contoured look. Or be bold with a dramatic sculpted look. 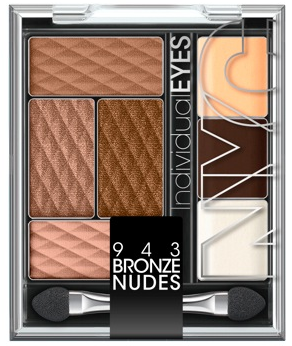 Each of the powder shades can also be used separately. Ready to sculpt and contour like a celeb? Get the London look. WHAT IT IS: New 24 Hour Supercurler Mascara from Rimmel London is a revolutionary mascara and lash curler in one, giving you dramatic, even curl and volume that lasts all day and all night. No more pulling or tearing at your lashes—with its built-in curling power, the mascara gives lashes a “perm” effect. The patent-pending formulafeatures a revolutionary polymer, a spherical micro-sponge, and a soft gel. When combined, the breakthrough formula curls, volumizes, and pushes lashes up to a phenomenal90 degrees. Lashes are visibly transformed as soon as you apply, and set to a flawless curl in seconds. With its curved-eye shape, the special brush fits perfectly into thecontours of your eye, giving you flawless application every time. Its cleverly-designed fibers lift and curl lashes from the root to tip, separating each lash for defined, clump-free color. Use the mascara alone, or create an eye-opening look by layering it over your favorite Rimmel mascara. Let your lashes defy the laws of gravity with breathtaking curve appeal. Disclaimer: I received samples of these products in exchange for this post.